Encompassing the southern half of Cardigan Bay on the wild west coast of Wales, Ceredigion is famed for its glorious sandy beaches, dramatic sea cliffs and caves, spectacular sunsets and a wonderful array of wildlife, including the largest colony of bottlenose dolphins in Europe. Away from the sea, rolling farmland, fertile river valleys and characterful market towns give way to the brooding Cambrian Mountains, the main watershed of Wales. 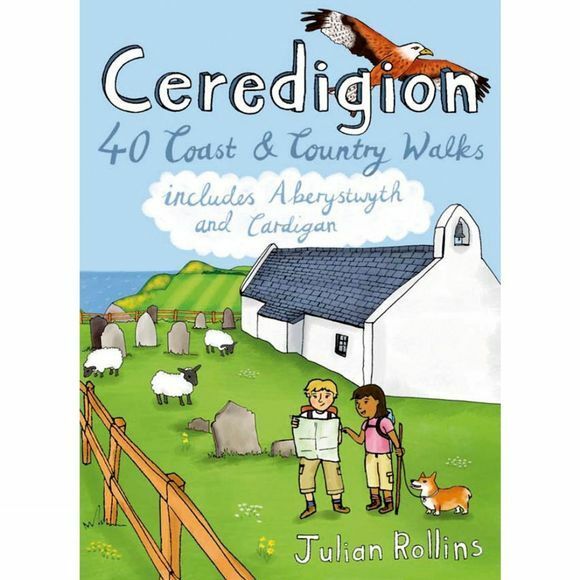 As one of the least populated regions of Wales, there is plenty of room to walk and in these 40 rambles Julian Rollins leads you through the best countryside and seascapes Ceredigion has to offer.